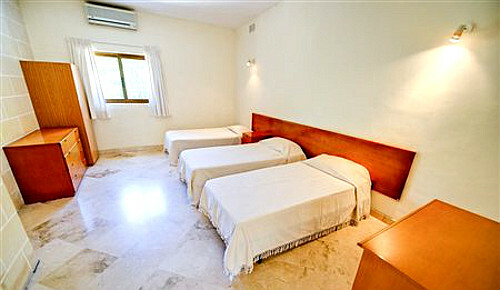 These rooms offer a comfortable and affordable option to all visitors to this historic island in the Mediterranean. Malta is a Southern European country consisting of an archipelago situated in the centre of the Mediterranean, 80 km (50 mi) south of Sicily. Only the three largest islands, Malta, Gozo and Comino, are inhabited; the smaller islands are not. The country covers just over 316 km2 (122 sq mi) in land area, making it one of the world's smallest states, but is also one of the most densely populated countries worldwide. 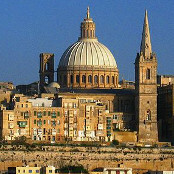 The de facto capital city of Malta is Valletta and the largest town, Birkirkara. Maltese is the constitutional national language of Malta. English is also an official language of the country and the laws are enacted in both, but if there is any conflict between the Maltese and English texts of any law, the Maltese shall prevail. In Malta, 100% of the population speak Maltese, 88% speak English and 66% speak Italian, making it one of the most multi-lingual countries in the European Union. A study on the preferred language discovered that 86% of people express a preference for Maltese and 2% for English. Local festivals, similar to those in southern Italy, are commonplace in Malta and Gozo: Carnival is held during the week leading up to Ash Wednesday, and typically includes masked balls, lavish late-night parties and a colourful parade. Holy Week starts on Palm Sunday and ends on Easter Sunday. Lija is a small village on the island of Malta. It forms part of the “Three villages of Malta”, along with Attard and Balzan. It is known for its fireworks displays that attract thousands of locals and tourists during the festa period, in the first week of August. These displays are well renowned and claimed to be the best around the island. 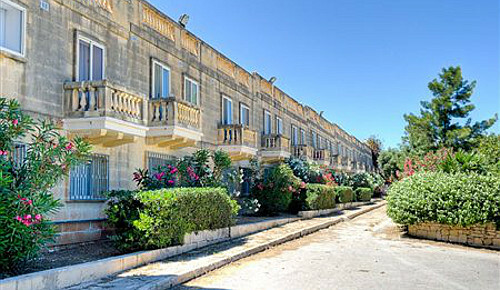 Lija also hosts the yearly Maltese Citrus festival. Traffic in Malta moves on the left. Car ownership in Malta is exceedingly high, given the small size of the islands. Buses are the primary method of public transport. The Grand Harbour, located at the eastern side of the capital city of Valletta, has been a harbour since Roman times. It has several extensive docks and wharves, as well as cruise liner and ferry terminals. Malta International Airport is the only airport serving the Maltese Islands. 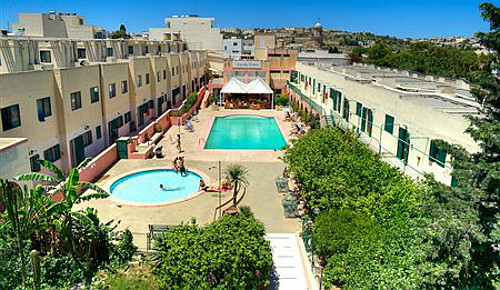 Malta University offers affordable visitor accommodation in its residences during the academic vacation periods. 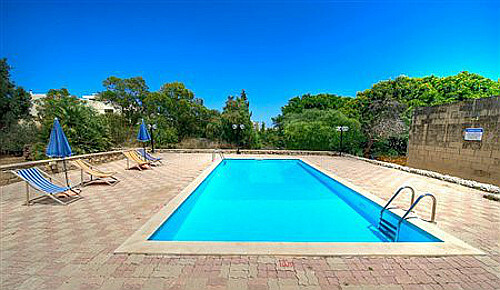 The main residence is located in Lija, located some 8km (5mi) from Valletta. 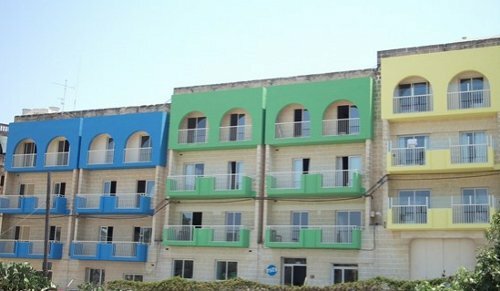 It should be understood that these residences are designed primarily for students and not children or adults expecting a high level of luxury. However, with this in mind, the halls do meet a level of comfort that we expect most visitors to be happy with, and we will welcome any feedback where this is not the case. Pottery found by archaeologists at Skorba resembles that found in Italy, and suggests that the Maltese islands were first settled in 5200 BC, mainly by stone-age hunters or farmers who had arrived from Sicily. Around 700 BC, the Ancient Greeks settled on Malta, especially around present-day Valletta. A century later, Phoenician traders joined the natives on the island. 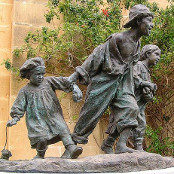 The Phoenicians inhabited the area now known as Mdina. After the fall of Phoenicia in 400 BC, the area came under the control of Carthage. By 117 AD, the Maltese Islands were a thriving part of the Roman Empire and when it split in the 4th century, Malta fell under the control of the Greek-speaking Byzantine Empire from 395 to 870. It was recolonised by the Arabs in 1048-49. In 1224, the Normans expelled all remaining Muslims from Malta or impelled them to convert. Malta fell under the rule of the Aragonese from 1282 to 1409. In 1530 Emperor Charles V gave the islands to the Knights Hospitaller, whose reign ended when Napoleon captured Malta in 1798. His fleet arrived en route to his expedition of Egypt and as a ruse, asked for safe harbour to resupply his ships, and then turned his guns against the Knights once safely inside Valletta. After six days on the island, he then sailed for Egypt, leaving a substantial garrison in Malta, who became unpopular with the Maltese. They rebelled, forcing the French to depart; Great Britain sent ammunition and aid to the Maltese and her navy blockaded the islands. The French surrendered in 1800. Maltese leaders presented the island to Sir Alexander Ball, asking that the island become a British Dominion. In 1814, Malta officially became a part of the British Empire and its position halfway between the Strait of Gibraltar and the Suez Canal made it an important stop on the way to India. In World War II, the bravery of the Maltese people during the second Siege of Malta moved King George VI to award the George Cross to Malta on a collective basis in 1942. Malta achieved its independence on 21 September 1964 (Independence Day) and declared itself a republic on 13 December 1974 (Republic Day) within the Commonwealth, with the President as head of state. Malta adopted a policy of neutrality in 1980 and in 1989, it was the venue of a summit between US President George H. W. Bush and Soviet leader Mikhail Gorbachev, their first face-to-face encounter, signalling the end of the Cold War.